I think I’d have to rate this as one of my favourite films, for the longest time this was the go to movie when there was nothing else to watch for my wife and I. Watching this again today, I was reminded why I love it. It’s a pure pulp inspired adventure romp – and is arguably the best of the “Children” of Indiana Jones. The movie opens in Ancient Egypt and we are told of the forbidden love of Imhotep and Anck Su Namun and how they killed her husband Emperor Seti I. Anck Su Namun kills herself and Imhotep is caught trying to bring her back. His punishment eternal life so scarabs can eat him for all eternity with a host of powers and should he ever get free he will be super powerful and try to take over the world. No I can’t see a flaw in that plan either. Next we flash to 1923 and a troop of Foreign Legionnaires are fighting some Arabic gents in some ruins. Here we meet Rick O’Connell. He’s the man who take command when his commander runs off, there were a LOT of Arabic gentlemen. Watching are the Madji – descendants of the Pharaoh’s guard determined to stop Imhotep being released on the world. We’re not told who or what or why they were fighting except when the Arabs see the statue of Anubis in the city, they run far away very fast. The movie then jumps forward to three years later and we meet Evie and Jonathon Carnahan, the serious scholar and the charming scallywag respectively. Jonathon has ... liberated an artefact and that sets off the whole shebang. With our heroes and villains introduced the movie takes off. The Mummy is revived, thinks Evie is his former love Anck Su Namun our heroes race to save her and there’s a big fight. It’s a good solid adventure with rival archaeologists ending up as Mummy fodder their essence powering him up. The whole thing is just slam bang fun. I especially love the character Winston, the British pilot who survived World War I. Twenty years later and the special effects while not perfect still hold up pretty well. 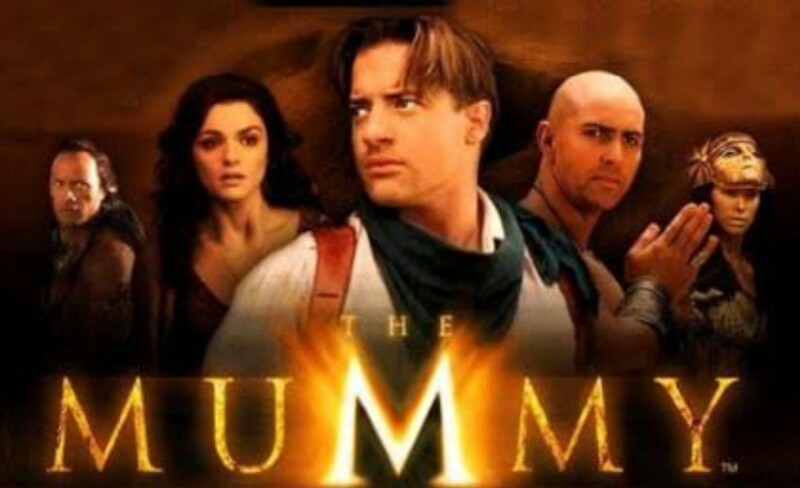 If you haven’t seen the Mummy, go check it out.